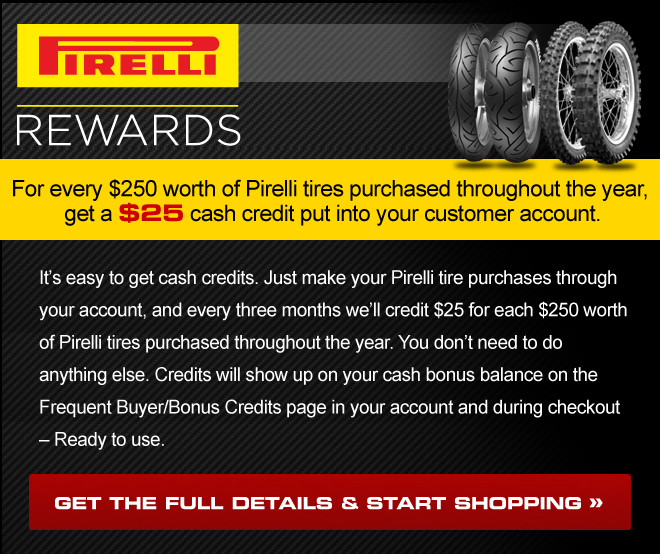 New Pirelli Tire Rewards Program! To ensure delivery to your inbox, please add sales@rockymountainatv.com to your address book. Purchase limit may apply to certain items, sale prices limited to stock on hand. See our Privacy and Security Statement.